Big Wave Dave loves working with large groups, corporate events, and retreats. Let us design a custom experience for your event! Improve Your Company's Synergy Today! We love giving corporate surfing lessons here in Waikiki. Reinvent your typical "Board Meeting" and get out of your building/office with Big Wave Dave Surf Co. Our creative and unique approach to team building will enhance your employee's communication and teamwork in a relaxed atmosphere. We will meet your specific needs regarding key business issues or objectives, budget, attendance and time frame. We can accommodate any size group and have done corporate surf events with as few as 10 people and as many as 1,000. If you're looking for a bit of lunch or snacks after the activities, we can arrange for delivery and setup under tents on the beach overlooking the surf. We have an onsite professional photographer who will document the day and for a small fee can provide you all the photos of your group from the surfing lesson or beach activities – ideal if you are looking for those “different” staff photos for your website! So if you want something a bit different for your corporate day out, then just contact us with your anticipated dates and numbers, and you can be sure your staff will thank you for it and be chatting about it over the water cooler for weeks to come! Photography packages *Feel free to inquire with us aobut including drone photography for your event. 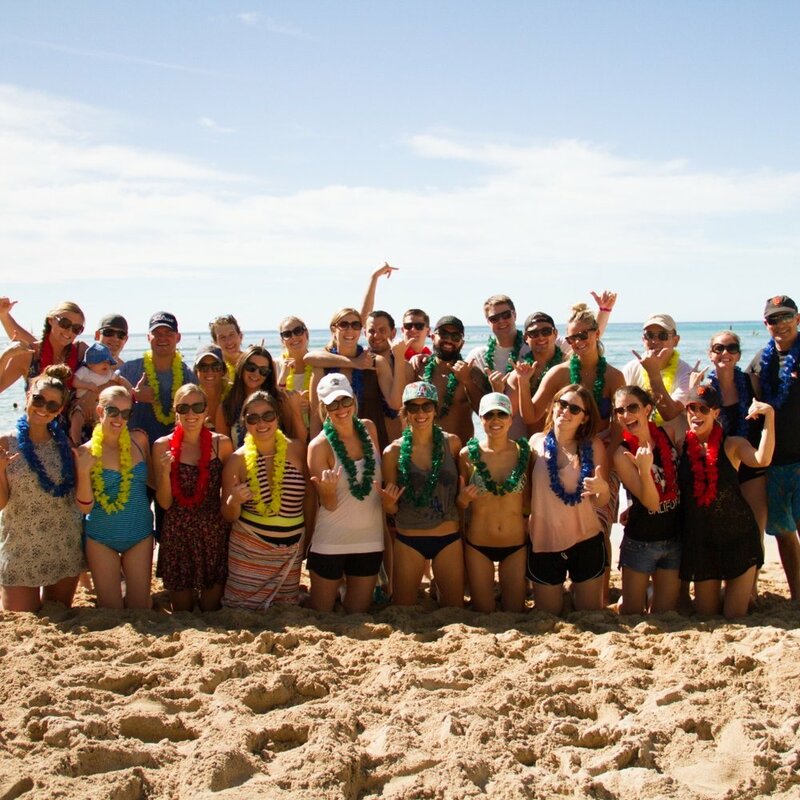 Give us a call at 808.386.4872 or contact us and let’s talk about your group. let's get your corporate event going! click here for surfing lessons!